Kaizer Chiefs goalkeeper Daniel Akpeyi produced a performance on Saturday against Orlando Pirates which displayed distribution skills similar to Itumeleng Khune. 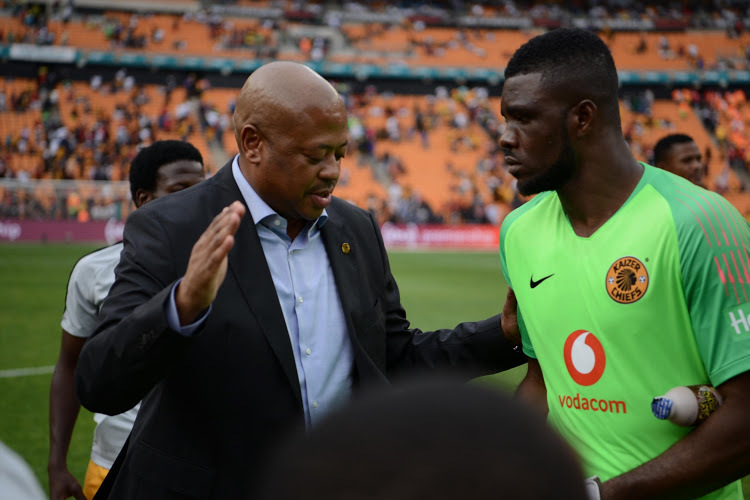 Akpeyi joined Chiefs in January from Chippa United and was rushed into action in the Soweto derby, as the club dropped the calamitous Virgil Vries. Bruce Bvuma was second choice on the bench. Khune is out for the rest of the season with a shoulder problem. The Nigeria international was the only player from South Africa’s Premiership to have been involved in the 2018 World Cup, although he did not feature for the Super Eagles in Russia. Nonetheless, the keeper produced numbers that were akin to those of injured stalwart Itumeleng Khune in terms of distribution. According to Soccer Laduma, he had a pass accuracy rating of 71% as he completed 17 successful passes from 24 attempts. Within these figures, the player also attempted some longer deliveries and his play was not just limited to easy sideways balls and short range passes. With that said, he still has some work to do to match Khune who last season averaged closer to 80% pass accuracy.